WE SHALL BE CLOSING OUR OFFICES ON THURSDAY AT 1:00 P.M. Whenever I hear people say “Easter is coming”, immediately my mind takes me to the beach. 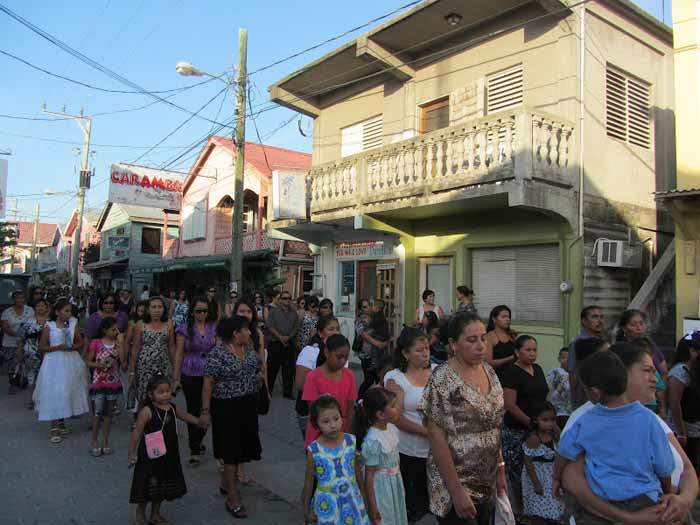 It is one of the busiest and popular times of the year in Belize. Easter is the weekend that locals and tourists head out to the Cayes for some well deserved down time and fun under the sun. Not everybody is fortunate or wants to travel to the Cayes. No worries, Belize has many other places for you to unwind. For example: going on a fun tour in the mainland or Family BBQ alongside the riverside. That is lovely too, but I’m a young, energetic and outgoing islander. Let me inform and guide you on how to spend the Easter Holidays on Ambergris Caye. Palm Sunday was observed on Sunday, April 13, 2014, where the Blessing of the Palms took place. Church goers gathered at 7:00 a.m. at the corner of Barrier Reef Drive and Tarpon Street for the blessing of the palms by the RC School. A short reenactment of Jesus’ entrance to Jerusalem was done by the priest of the San Pedro RC Church and his disciples all the way to the RC Church. Mass was then carried out at 8:00 a.m. There will be no run on Good Friday. Stops in Sarteneja: 7:30 a.m. and continues to San Pedro and returns to Sarteneja at 4:30 p.m. continuing to Corozal. Children 5-9 years pay half price. Children under 4 and under are free. 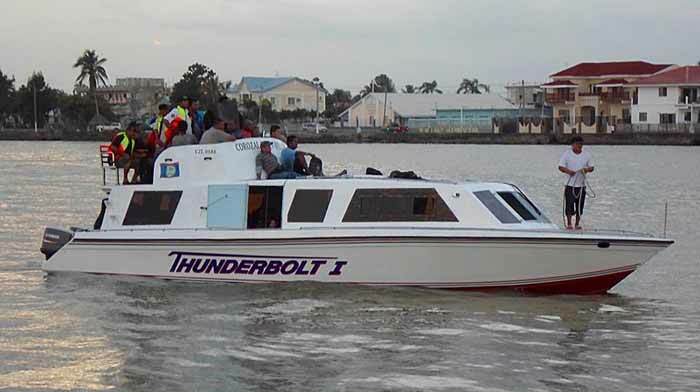 Have a safe and pleasant Easter Holiday from the staff and Management of Thunderbolt Water Taxi ! Mayor Daniel Guerrero and Councilors Kenrick Brackett and Carlos Barrientos made a courtesy visit to the San Pedro Fire Department, the San Pedro Police Department and the Dr. Otto Rodriguez Polyclinic II, the San Pedro Transport Department to make sure they are well prepared to handle any situation for the Easter weekend. Mr. Philip Mencias, Officer in Charge at the San Pedro Fire Department had his staff show the Mayor and Councilors that the fire trucks are fully loaded and functional. The department has scheduled two staff members that work on 8-hour shifts for the three shifts daily. Superintendent Luis Castellanos stated that his team of officers are all on board. He also mentioned that his team have been instructed to monitor all establishments on Good Friday to ensure that alcohol isn't sold to anyone. Mr. Owen Vellos, Administrator informed the Mayor and councilors that the nurses and doctors are aware of the number of people that visit the island for Easter and ensured that they are well equipped for any incident. The Polyclinic will be open for half day on Friday and Monday, Closed on Saturday and Sunday but Mr. Vellos stated that Nurse Jeffries and the Doctors will be on call for any emergencies. The wardens have been instructed to be vigilant on all drivers who are speeding and drinking and driving. They have also been instructed to carry out various check points to make sure all drivers have a valid driver's license as well to make sure all vehicles are licensed and have insurance. Mayor Daniel Guerrero and the San Pedro Town Council wishes everyone a Happy Easter, but most importantly to have a SAFE Easter. The San Pedro Police Department will once again be enforcing a dry Good Friday. No stores, supermarkets or bars are allowed to sell alcoholic beverages from Thursday, April 17th at 12 midnight to Friday, April 18th at 12 midnight. Hotels and restaurants will be allowed to sell alcoholic beverages with meals to bonafide customers only. According to Officer in Charge of the San Pedro Police Department Luis Castellanos, both mobile and foot police patrols will be dispatched throughout the island to ensure liquor stores and bars are closed and stores are not selling liquor or beer. Through the course of the day, random police spot checks will be held at establishments to prevent liquor being sold under the counter. “I will personally be out on Good Friday. 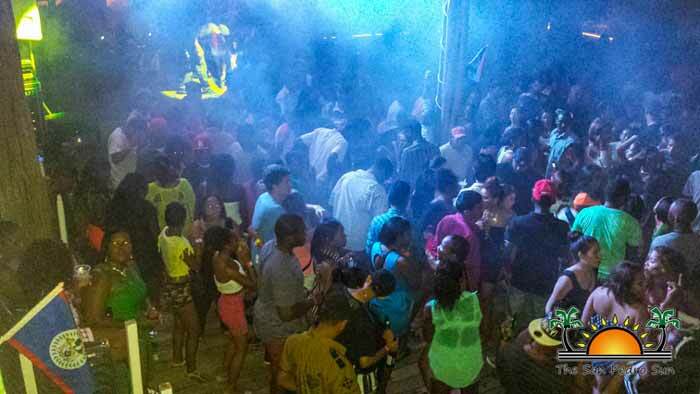 It is time for San Pedro to start respecting the laws of Belize, and the law states that no liquor, alcohol or beers should be sold on revered days, such as Good Friday and Christmas Day,” said Castellanos. Stores that do not abide by the law will be closed immediately. Persons caught drinking in public areas or illegally selling alcoholic beverages will be arrested and detained until they appear before the court on Tuesday, April 22nd. Two years ago, former Officer in Charge of Police Viennie Robinson took it upon herself toimplement this law, but was faced with criticism from business owners and public officials. Castellanos has stated that he will continue to enforce this law and that no one is above it. The SPTC is fully supporting the police and absolutely no alcoholic beverages will be sold on Good Friday by stores and bars. 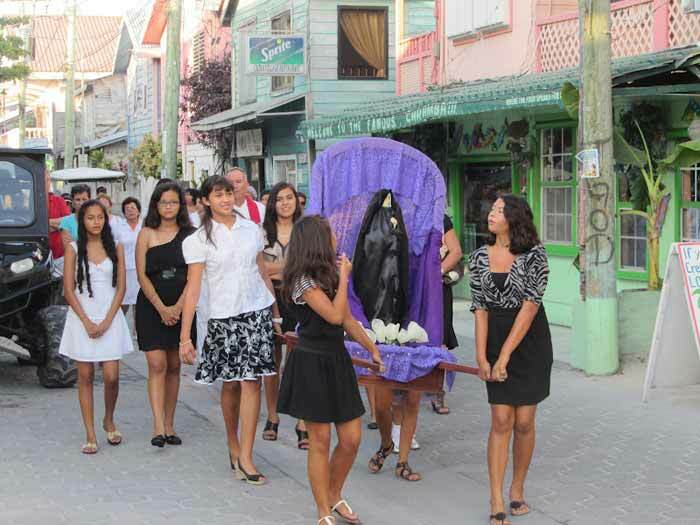 Easter is a LONG holiday in Belize. Banks close for a half day on Thursday and it seems like the entire country heads to the beach. Good Friday all the way through Easter Monday. The huge party all kicks off with a DRY DAY. Golf carts are ALL rented (and being driven around town like bumper cars), hotel rooms for 2 are packed with 15…let the good times begin! 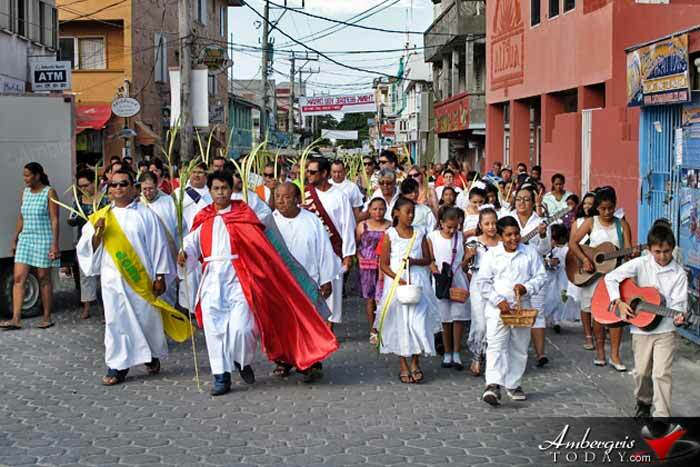 But: Good Friday in Belize is celebrated without alcohol. Dry. Though not exactly. The holy day is observed without alcohol sales. There are low key pool, beach and house parties galore. And check on your boat trips – many tour companies and fishermen dock their boats for the day in observance. But we certainly can't all afford to splash out to the Cayes. Still, it is a four day weekend, a time when there are weighty religious observances, and where, for better or worse, "r and r" has become its own kind of religion. So, the question arises, what are you doing for Easter? That's what our colleague Geovanni Brackett went to the streets asking today:..
An observance both religious and Now, we know that most folks can't afford to go there. And another fixture of the Easter holidays is the rush to the cayes. Hotels on San Pedro and Caye Caulker are booked to capacity - and so are the water taxis. Between Holy Thursday and Good Friday - thousands of Belizeans set out on the water taxis for their island retreats. Competition between the two leading service providers Caye Caulker Water Taxi and San Pedro Belize Express is fierce and so are the price wars. And while they are competing, the water taxi's are also having to deal with the biggest crowd of the year, kind of like Christmas in April. Today Joe Marin of Caye Caulker Water taxi told us they have multiple boats on standby just to accommodate the rush:..
"Yes the rush is picking up like from this afternoon right through the rush will pick right up and then tomorrow and Saturday and Sunday then Monday is start tapering off. But tomorrow and Saturday will definitely be the big rush. We have extra boats come on line and we are handling everything okay." "Can you give me a ball park figure?" "Well it's quite a few thousand going out." "And now that you have a competitor right up the street. What does that mean for passengers in terms of prices?" "I believe they are putting their prices very competitive but I don't worry about the competition, I worry about our business, I have an old saying 'the amount of time it takes to worry about their business….' We brought down the prices a little bit. What we are charging right now is $23 round trip to Caye Caulker and $43 round trip to San Pedro. I understand that all the hotels in Caye Caulker are booked out and I understand the same thing in San Pedro which makes me happy that the Belizeans are spending their money here in Belize. San Pedro needs it more than Cancun." 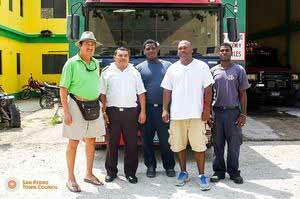 When we went to San Pedro Belize Express, no one was available to speak. It's almost pancake time with the Easter Bunny! 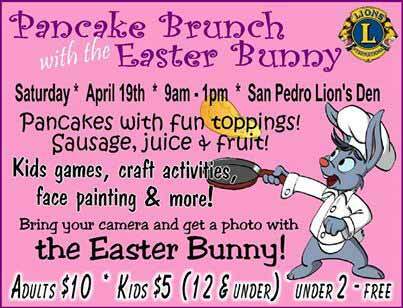 Be sure to come out for this super fun family event while supporting the San Pedro Lions! Last edited by Marty; 04/18/14 05:23 AM. 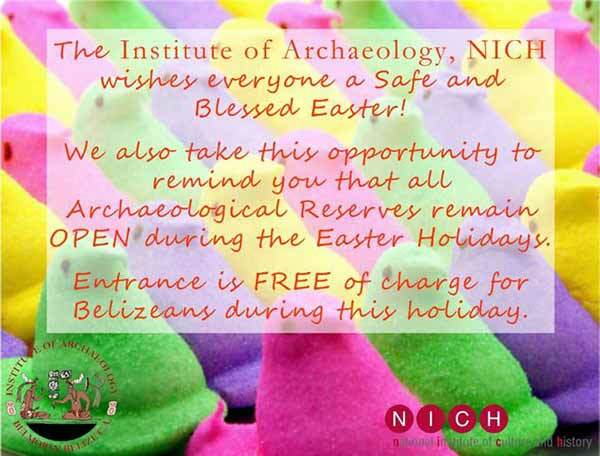 FREE entrance to all Archaeological Reserves for Belizeans over the holidays. NICH wishes everyone a safe and blessed Easter! We hope everyone had a great Easter weekend and enjoyed quality time with family and friends. 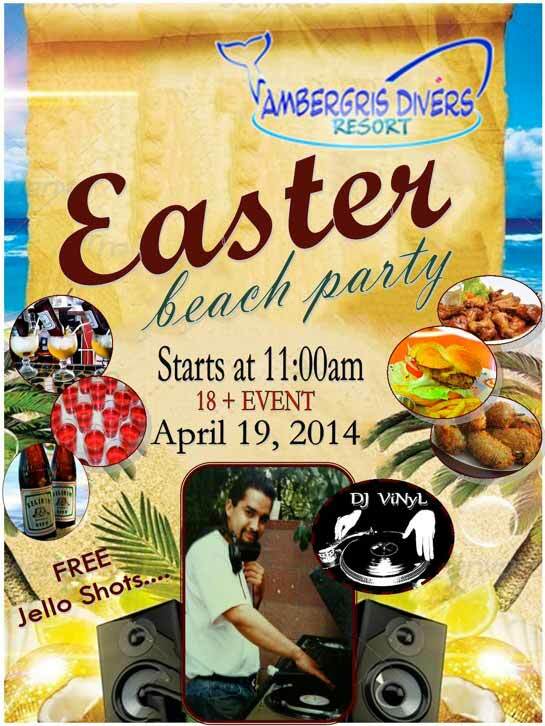 Miami Power 96 DJ and Entertainer DJ ZOG hyped up Easter Break in San Pedro, Ambergris Caye, Belize at the Holiday Hotel Easter Bash 2014. An overwhelming influx of vacationers from mainland flooded the islands of Ambergris Caye and Caye Caulker over the weekend during the long Easter break. The two Belizean hotspots are a big draw for both local and international visitors during one of the biggest holidays in the country.